Opportunities for fun and lifelong friendships! Fall Leadership Workshops occur each fall in various locations around Illinois. Student and advisor sessions encourage networking, the sharing of ideas, leadership skill-building, and fun. Each workshop features varied, specialized topics including Communication, Public Presentations, Group Dynamics, Team Building and Leadership Styles. 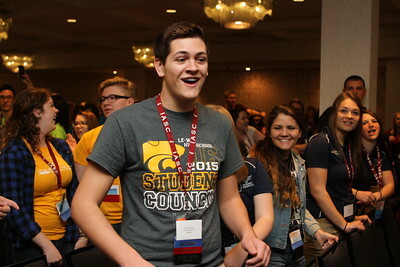 The IASC Annual State Convention is focused on learning and leadership development, however it’s a tremendous opportunity for delegates to renew friendships with individuals they’ve met at other IASC events while having fun. Advisors and students present small-group workshops on a breadth of leadership topics. Roundtable discussion sessions are popular for networking, picking up valuable tips, and sharing practical strategies with one another. Throughout the convention, candidates campaign for IASC state office and the new officers are elected. The IASC Summer Leadership Workshop/Camp includes basic, intermediate and advanced levels for high school students. Workshop participants participate in activities to help jumpstart the following school year. In doing so, they practice how to write a constitution, how to conduct an election, how to plan events, how to set goals, and how to work with their school’s administration and faculty. They learn about group dynamics, leadership styles, team building and communication skills. Each summer IASC sends a state delegation to the National Student Council (NatStuCo) National Conference, held in a different city each year. There they network and interact with student leaders and advisers from every U.S. state and a number of foreign countries. It’s a unique and balanced experience that celebrates and enriches student leadership while providing memories of a lifetime. 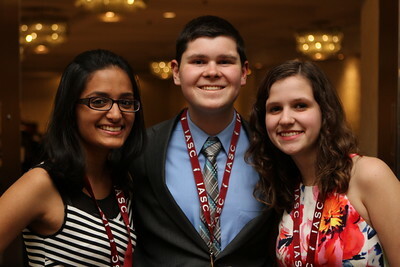 Besides the national conference, NatStuCo presents three national LEAD Conferences during the school year which offer experiential leadership skills development at an affordable price to students and advisers in the National Honor Society, the National Junior Honor Society and National Student Council. The LEAD Conferences are held in different cities across the United States. IASC service and civic engagement activities throughout the year include a statewide service project and activities that focus on issues such asdangers of drug and alcohol abuse, "green" initiatives, social networking dangers, anti-texting and driving, and more. 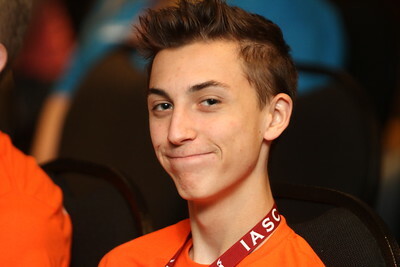 The IASC Reporter is the online newsletter of the IASC, published quarterly, that contains the latest IASC news, project ideas, and tips for running a successful Student Council.